Boris Yeltsin (1 February 1931 - 23 April 2007) was a Russian politician who became the first President of the Russian Federation, serving from 1991 to 1999. Boris Yeltsin was born in the village of Butka, in Talitsky District of Sverdlovsk Oblast, Russian SFSR on 1 February 1931. He graduated from Ural Polytechnic Institute in Sverdlovsk, with a qualification in construction. He became a chief engineer within Sverdlovsk. Yeltsin joined the Communist party in 1961, and by 1980 had become well connected, receiving the Order of Lenin medal and becoming a member of the Central Committee of the Communist Party of the Soviet Union, in 1981. During the leadership of President Gorbachev, Yeltsin became a close supporter of the reform movement (Perestroika and Glasnost), initiated by Gorbachev. However, as Gorbachev became increasingly isolated towards the end of his leadership, Yeltsin emerged as a key opponent – arguing for a more radical reform and shock approach to move the Soviet Union to a free market economy. A few months later on 18 August 1991, a coup took place by hard-line Communists who were opposed to Perestroika. Gorbachev was taken from Moscow to the Crimea. At this point, Yeltsin rushed to Moscow and famously defied the coup plotters, at one point taking to a tank and making a speech to defend democracy and reforms. The coup failed, and Gorbachev was released. In this episode, political power swung to Yeltsin and away from Gorbachev; the failed coup also precipitated the break up of the Soviet Union. 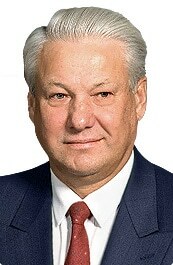 Yeltsin was elected President of the new Russian Federation and served as President until his resignation in 1999. During 1993, a constitutional crisis arose, where Yeltsin dissolved parliament and parliament tried to remove Yeltsin. But, the army sided with Yeltsin, and he was able to strengthen the position of President. During his presidency, the Russian Federation made the transition to a free market, pursuing a policy of ‘shock therapy’ However, the transition led to widespread economic hardship and inequality, with many oligarchs taking control of state-owned assets at knock-down prices, but ordinary people struggled to deal with rising prices and falling incomes. Towards the end of his presidency, Yeltsin was increasingly unpopular, due to the economic crisis but also concerns about his drunkenness. He would often appear at important state meeting drunk and would create embarrassment. 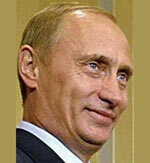 After his resignation in 1999, his preferred candidate, Vladimir Putin took over. He died in 2007, aged 76. Citation: Pettinger, Tejvan. 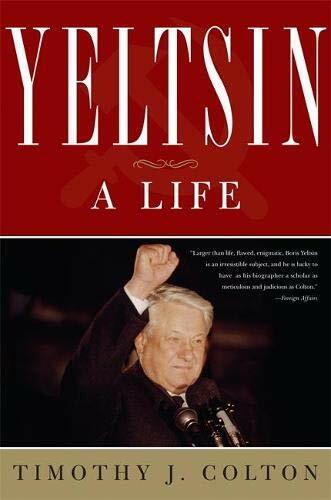 “Biography of Boris Yeltsin”, Oxford, UK. www.biographyonline.net 23rd August 2009. Last updated 25 Feb 2018. Famous Russians – Including famous royals, politicians, scientists, composers, authors and sportsmen. Vladimir Putin – President who took over from Yeltsin in 1999.